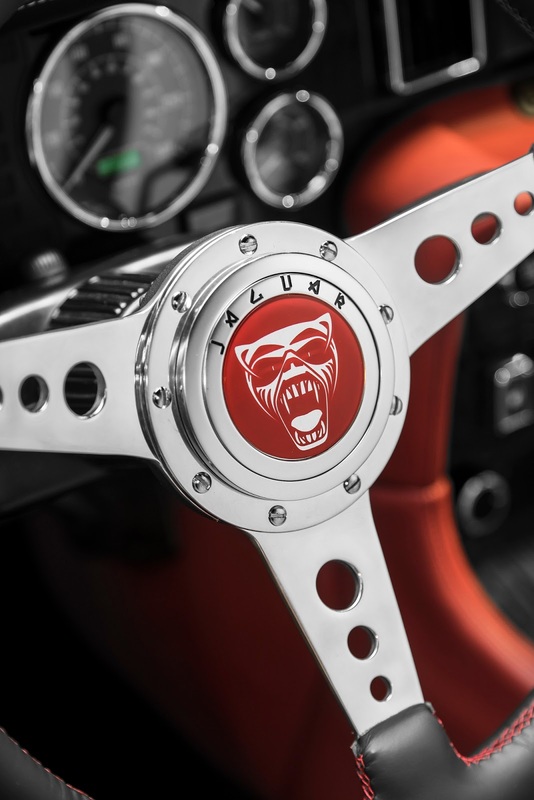 Ryton-on-Dunsmore, UK, 09 March 2018: Jaguar Classic presented Iron Maiden drummer Nicko McBrain with a custom-built ‘Greatest Hits’ Jaguar XJ6 at the Geneva Motor Show. The event officially kicked-off Jaguar's XJ 50th anniversary celebrations in 2018. 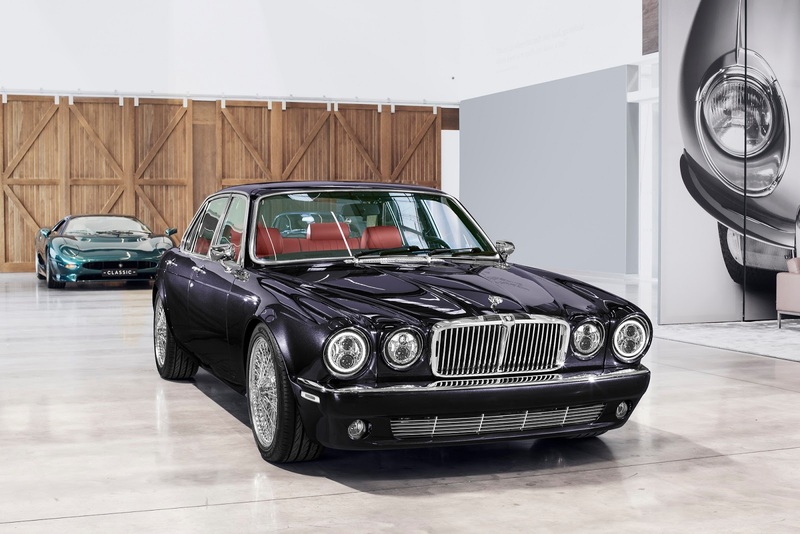 The bespoke commission is a collaboration between Nicko, engineers and craftsmen at Jaguar Land Rover Classic Works in Coventry, and Jaguar Design studio director Wayne Burgess. The project involved more than 3500 man hours of work, with more than 4000 parts refinished, replaced or redesigned. Unlike any 1984 XJ6 before, it incorporates substantial modifications to the exterior, interior, drivetrain and suspension. Nicko is an all time XJ fan and this would be his third XJ. 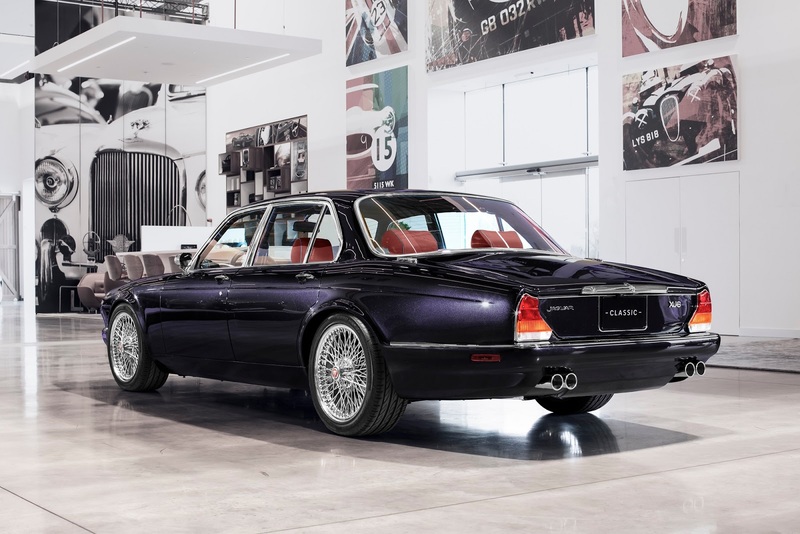 Key features of his custom built classic include unique front and rear bumpers that are seamlessly blended in to the modified fenders with bespoke chrome brightwork and flush-fit US side markers. The front and rear wheel arches are flared and re-profiled, to accommodate bespoke 18" Pirelli P Zero wire wheels. Unique sills and modified rear door pressings, uprated front and rear suspension with adjustable rear dampers, a mauve paint finish, addition of Series 2 XJ door handles and bullet wing mirrors, LED headlights with ‘Halo’ daytime running light signature, recessed twin fuel fillers and modern door sealing for reduced wind noise, and additional sound deadening are some of the custom modifications carried out on this unique piece. Inside, there is an integrated touch screen operating satnav, phone, rear view camera and in-car entertainment, modified seat foams, bespoke audio with USB connectivity, guitar amplifier-inspired control knobs machined from aluminium, drum kit inspired pedals finished in chrome and black, in-dash starter button, uprated air-conditioning and remote central locking. The styling inside is classic Jag meets modern day convenience. The leather seats are hand trimmed in Pimento Red with black piping and embossed head rests, while a black hand-crafted carpet and Alcantara headlining finishes off the trim. The dashboard features Dark Grey stained Sycamore veneers, which is the preferred material for Nicko’s favourite snare drums. The custom three-spoke sports steering wheel features Nicko’s mascot, the ‘Eddie Growler’, first seen on his specially commissioned 2013 Jaguar XKR-S. Soft down lighting illuminates the revised dashboard, in which a state-of-the-art Alpine touch screen controls the 1100W sound system, powering speakers from Nicko’s preferred Jaguar audio installation, the 12MY Jaguar XF. Incorporating a number of reconditioned parts from McBrain’s original XJ6, the 4.2L in-line six-cylinder engine features three 2" SU carburettors from the E-type, which is Nicko’s favourite set up. Machined quad-exhaust tail pipes finish-off a specially-designed exhaust system. Preserved components from Nicko’s first XJ6, which spent many years at the home of Iron Maiden bass guitarist Steve Harris following Nicko’s move to America, are present elsewhere in the build too - from the iconic Jaguar leaper bonnet mascot, which first attracted Nicko to buy the car, to the original ignition keys from 1984.